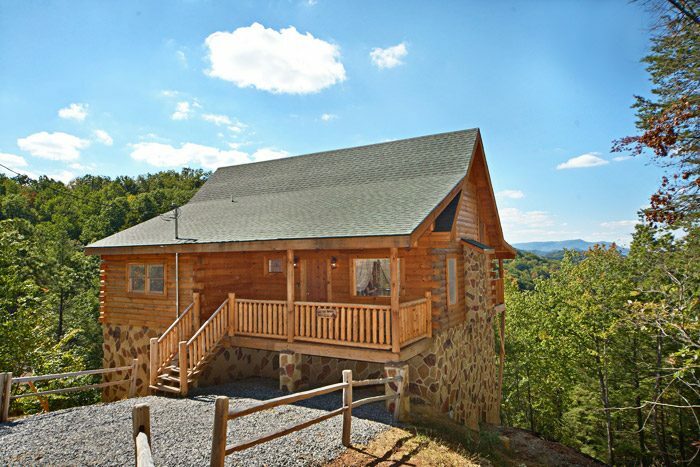 Come escape to the mountains at this 2-bedroom Gatlinburg cabin in Sky Harbor for your Smoky Mountain vacation! Featuring great views, a convenient location, internet access and more, you’ll enjoy sharing pictures with friends and family back home of you Smoky Mountain adventures. One of the best features of staying in Sky Harbor resort is its location. 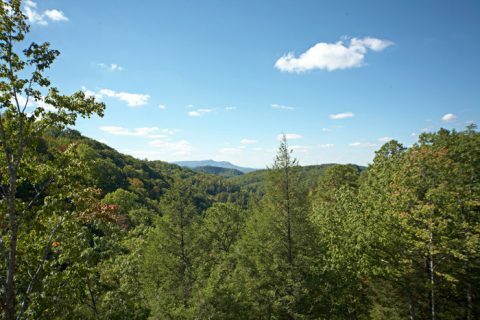 You’ll be conveniently between Pigeon Forge and Gatlinburg, so the fun, family attractions of the Parkway and the natural beauty of the National Park are both easily accessible. 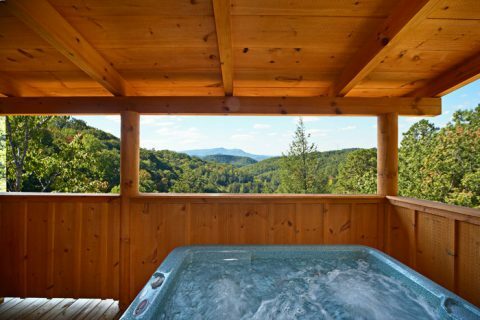 All the exciting options for an unforgettable Smoky Mountain vacation are only minutes from your comfortable cabin retreat. 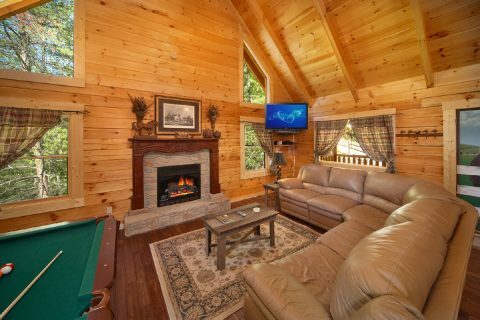 Back at your cabin, you’ll find a comfortable interior at your mountain home away from home. The living room's gas fireplace invites you to relax and unwind on the sectional sleeper sofa. 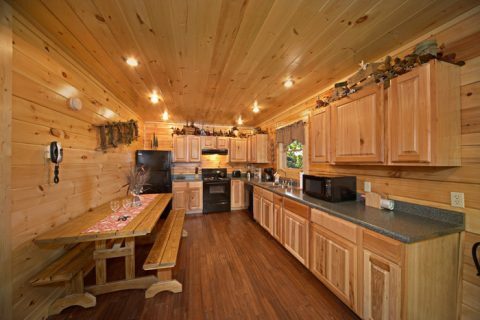 The dine-in kitchen features ample counter and cabinet space that makes cooking up delicious meals quick and easier. 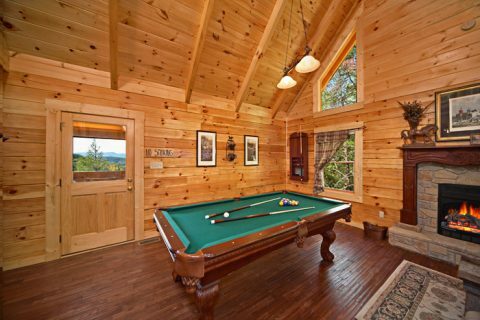 After dinner, you can enjoy some fun and games in your cabin with a few rounds of pool. 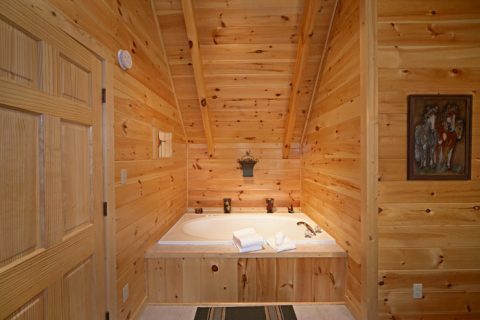 If you’re looking for a little rest and relaxation, you’ll enjoy a quick dip in your cabin’s hot tub under a starry mountain sky. 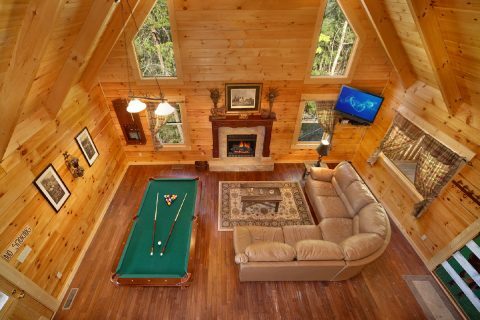 When it's time to turn in for the night, retire to the main level's king-size bedroom with television or relax in the upstairs master suite's king-size bed or in-room jacuzzi tub. 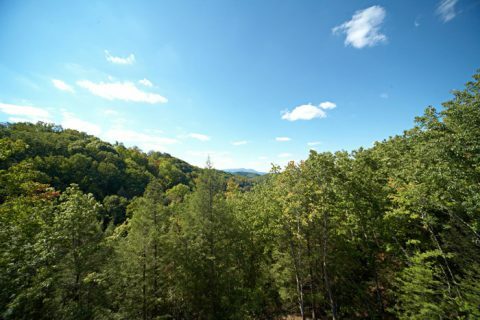 Planning to visit the scenic Tennessee Smoky Mountains? 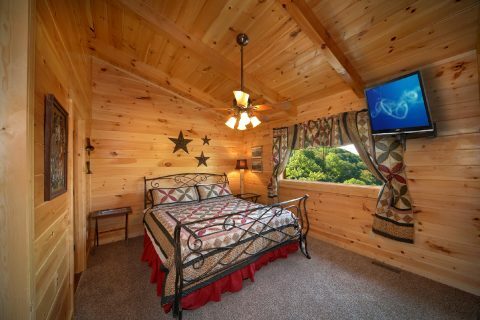 SAVE when you book your Gatlinburg cabin in Sky Harbor online with Cabins USA Gatlinburg for an immediate Online Special!